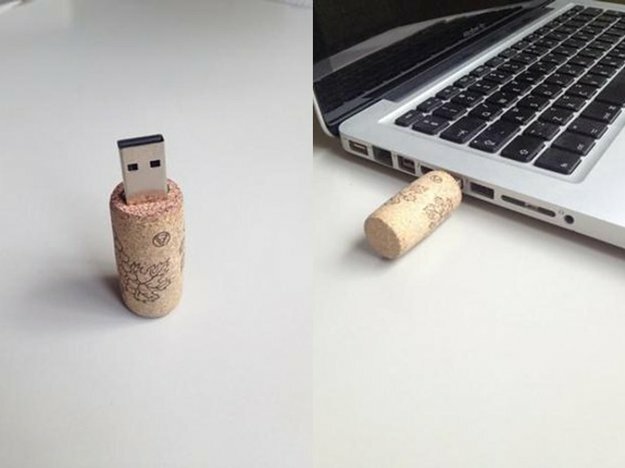 Though it might seem relatively mundane, cork is actually quite an interesting material. It is basically indestructible, totally buoyant, and contains both elastic and fire retardant properties – and all of that comes from the bark of a tree. Eighty percent of the world’s supply of cork comes from Portugal and Spain, where these trees can grow and flourish in the favorable climates. 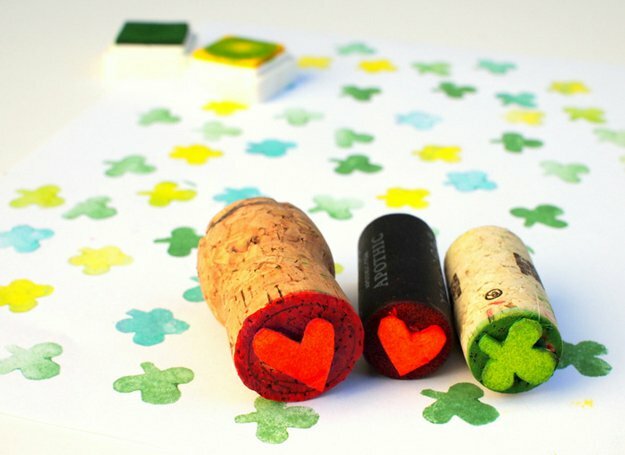 Cork’s features make it the ultimate material for bottle stoppers, and wine corks make up about 60% of the world’s cork production. 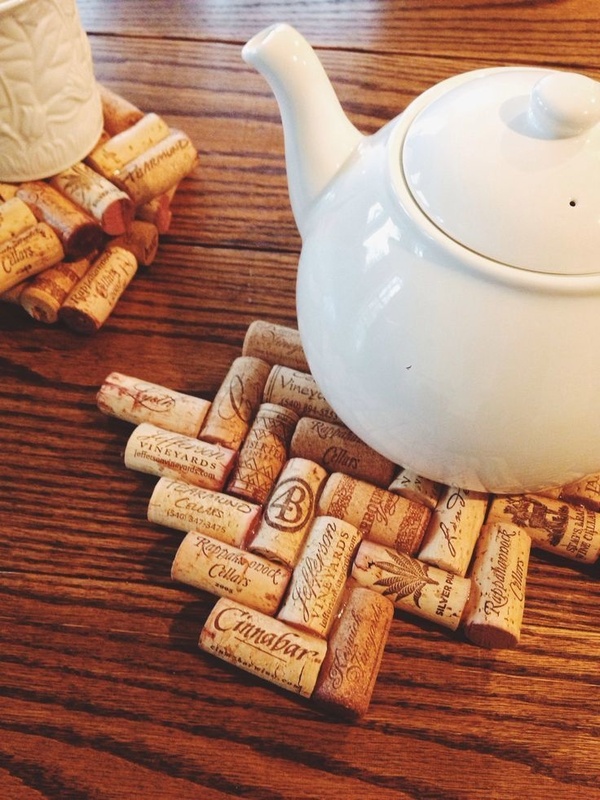 So what else can you do with a cork stopper that doesn’t involved sealing a bottle of wine? Wine lovers often find themselves faced with dilemma, and usually end up throwing out the cork. 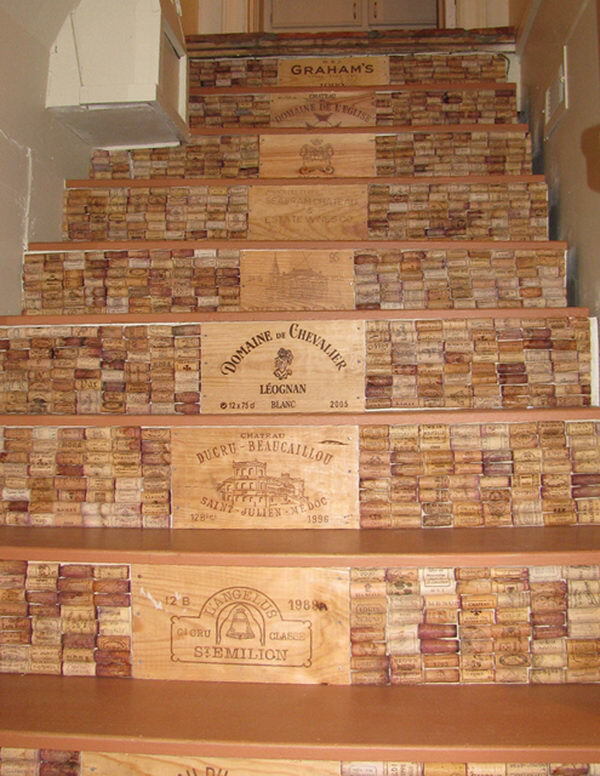 However, that’s not the best use of your old corks. In fact, you can use them to get crafty. 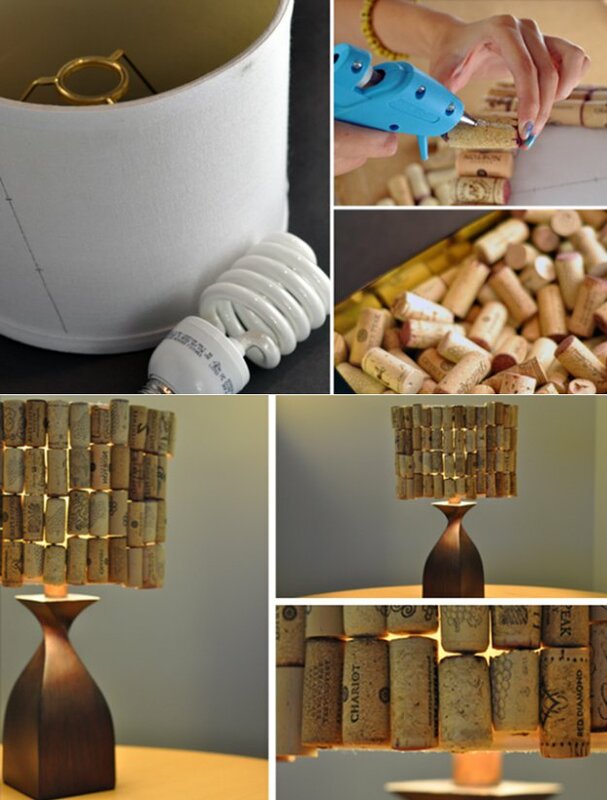 Below, we’ve compiled 20 awesome DIY projects that involve the use of your old wine corks – I guess that means you better pop open the wine and start drinking. 1. 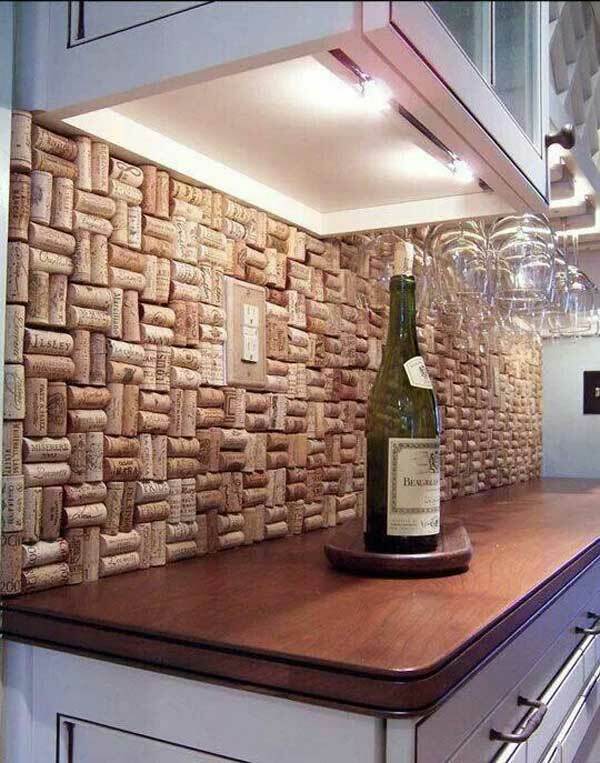 A wine cork backsplash behind your home bar. A chic and easy to make wine pendant you can make in just minutes. It’s so pretty it can match any outfit. Check it out here. Who ever said that crafting and technology can’t be combined? 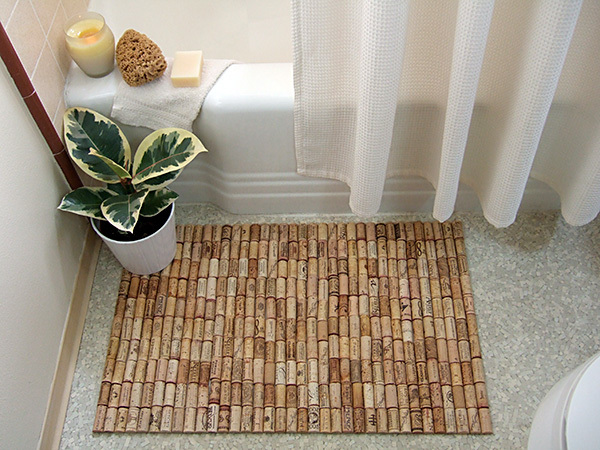 Check out this cool wine cork project. 4. 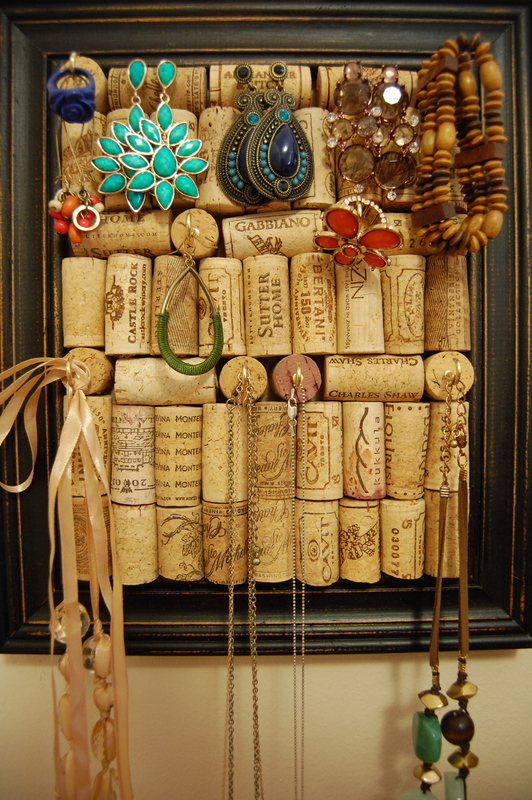 Frame an important cork from bottle you drank on a special occasion. 5. 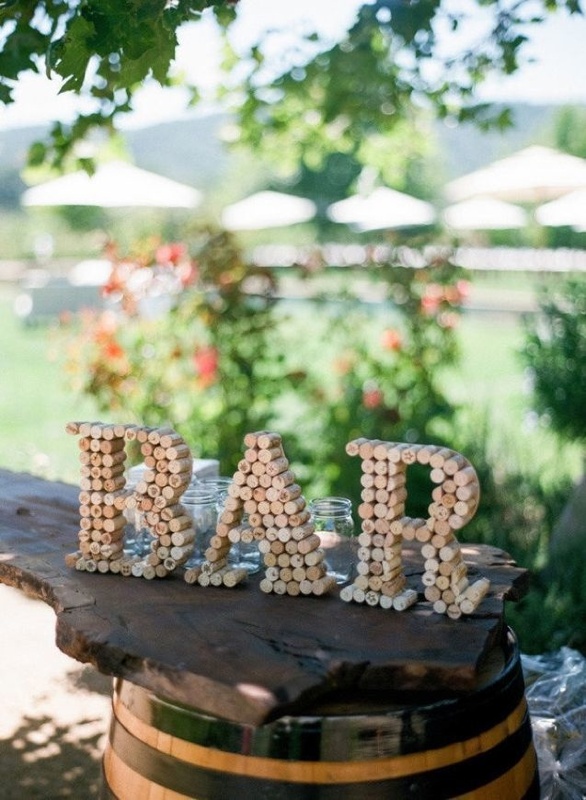 Line your countertops with these cute cork balls. 6. 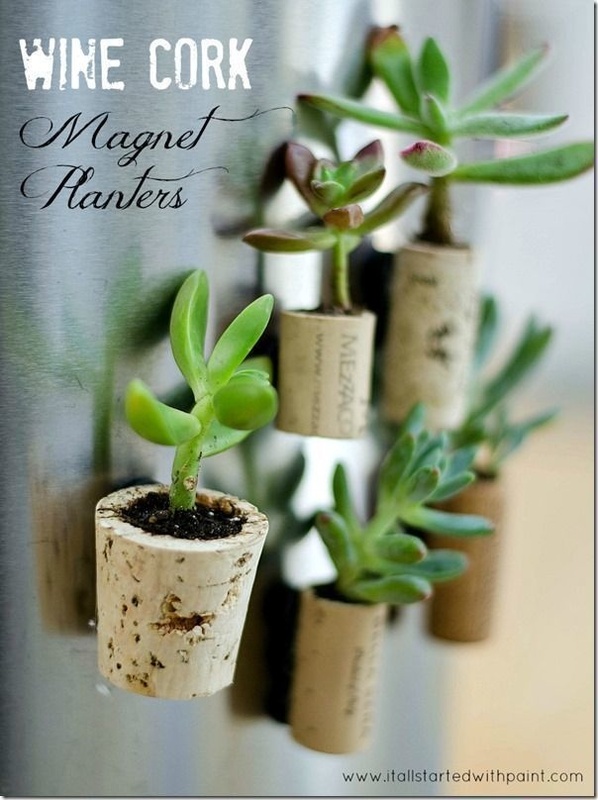 Hollow out a cork to create a tiny plantar – then add a magnet for maximum cuteness. 7. Never lose your keys again with these wine cork keychains. 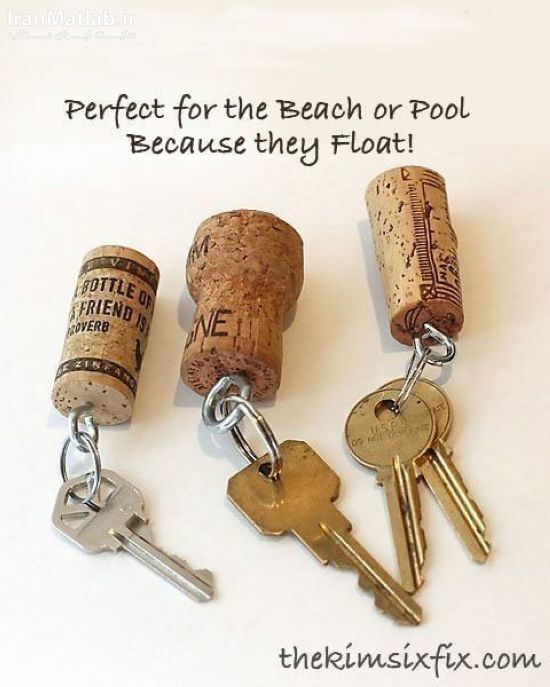 These are great for boat keys because they float! Great give away for parties and events. It’s inexpensive and super easy to make. It’s an amazing key chain to avoid losing your keys in the water. Get the tutorial here. 8. 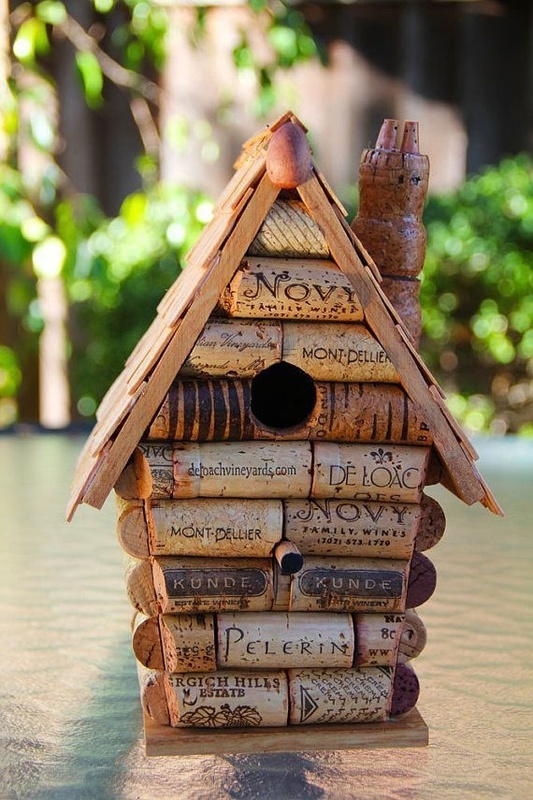 Fashion a lovely birdhouse out of a bunch of old corks. 9. 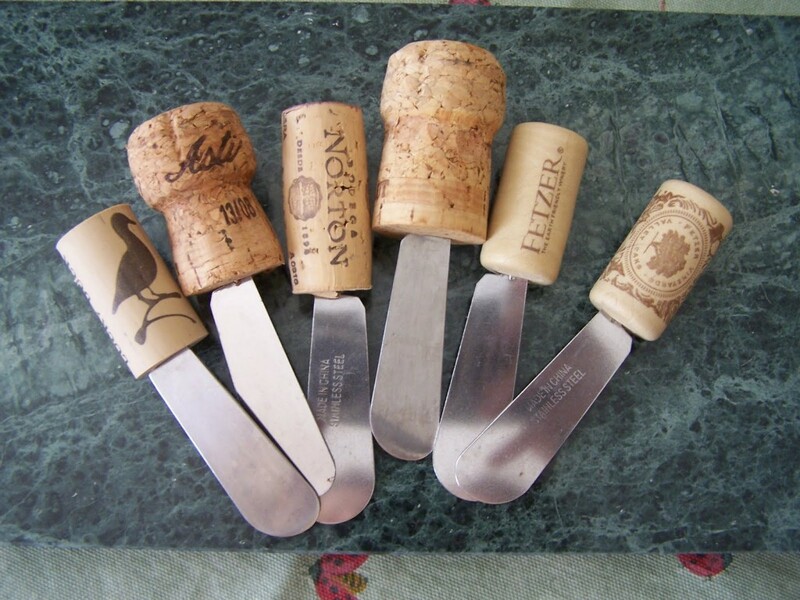 Add corks to the handles of your cheese and canape knives. 10. 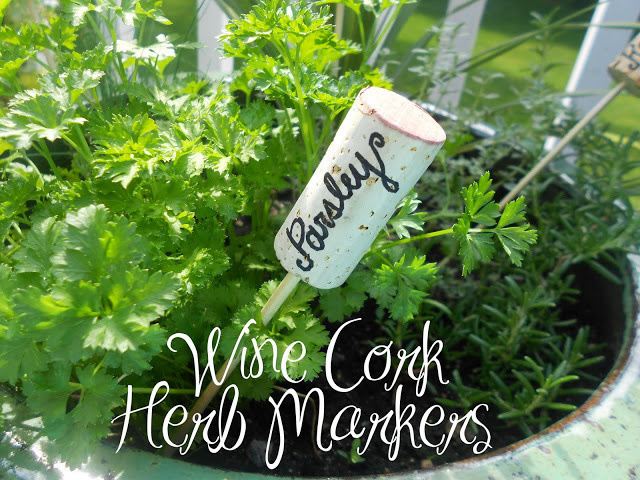 Mark your herbs with painted corks on skewers. This is a major upcycling project made from thinking outside the box. 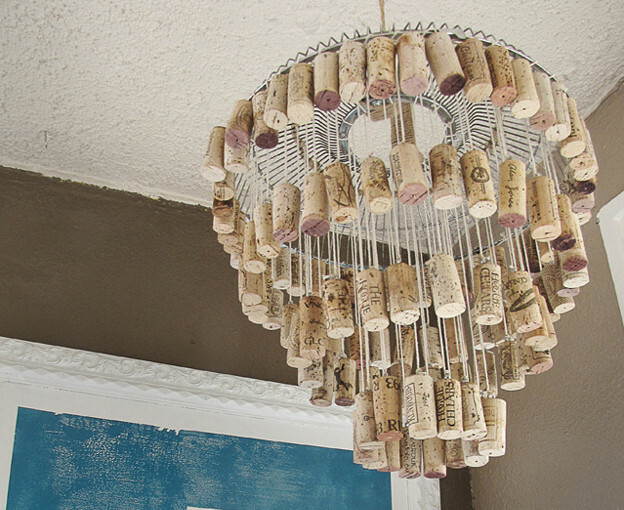 Who knew you can make a stunning home decor with a fan grate and wine corks. Get the tutorial here. 12. Glue together a fun bar sign, made entirely of cork. Tired of reminding everyone to use coasters on the coffee table? 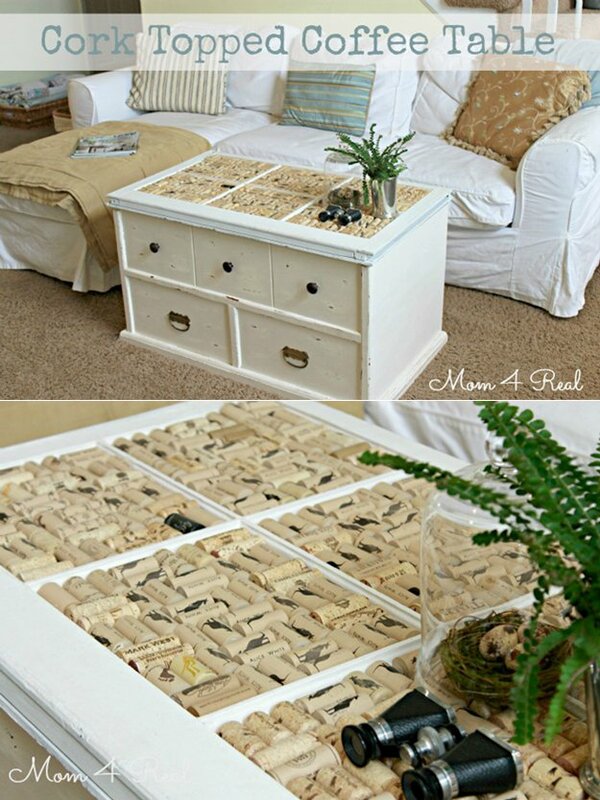 You never have to when you make this easy transformation to your coffee table. See it here. 14. 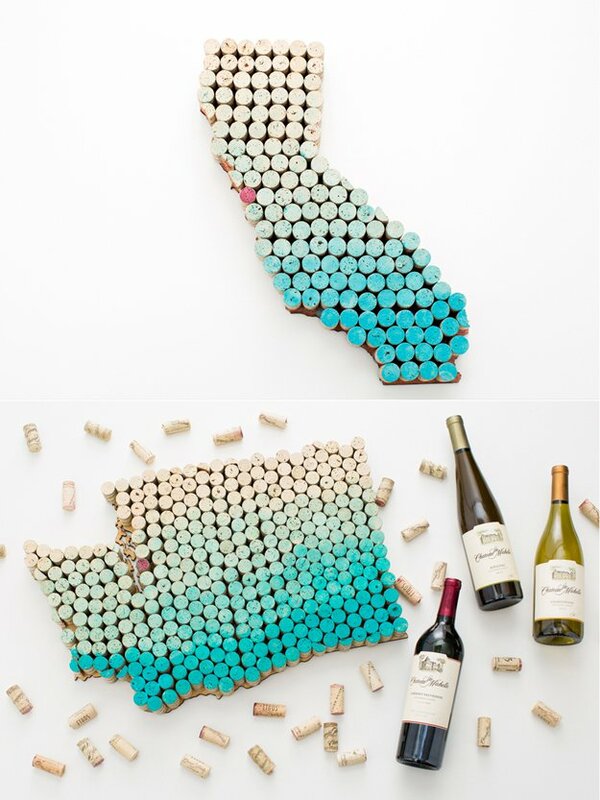 Use corks to make coasters for your wine – then use the new corks from that wine to make new coasters. 15. 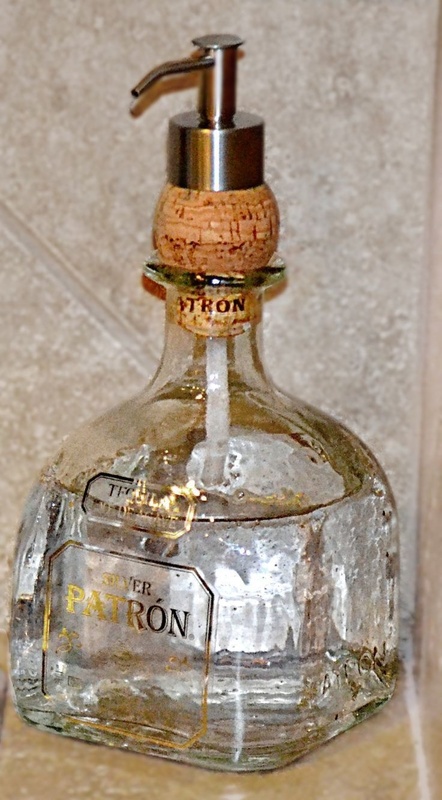 Put a spout through a cork to create a precision pourer for your liquor bottles. 16. 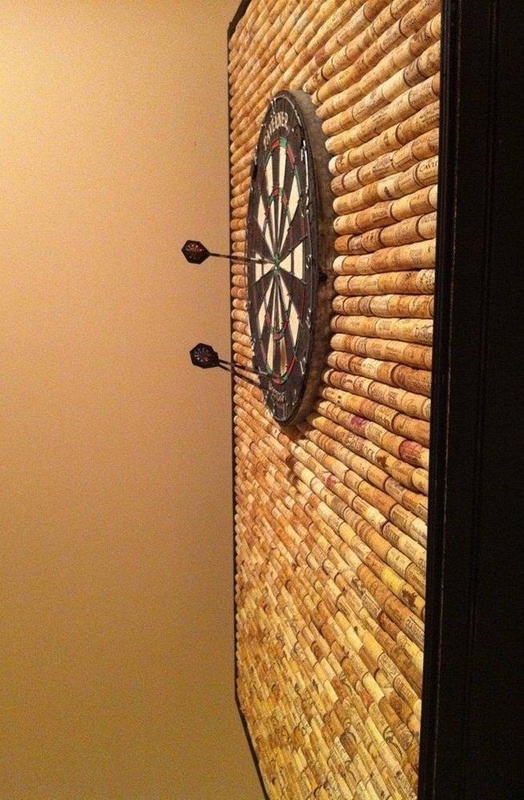 Protect the wall around your dartboard by covering it with cork. 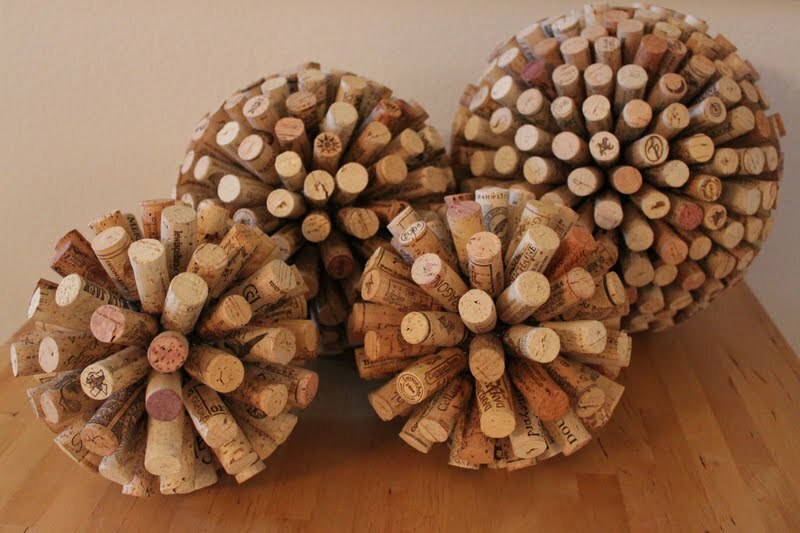 Find out how you can make this super easy wine cork project that will make an amazing centerpiece. See how here. 18. Frame a fun chalkboard for your home bar or office. 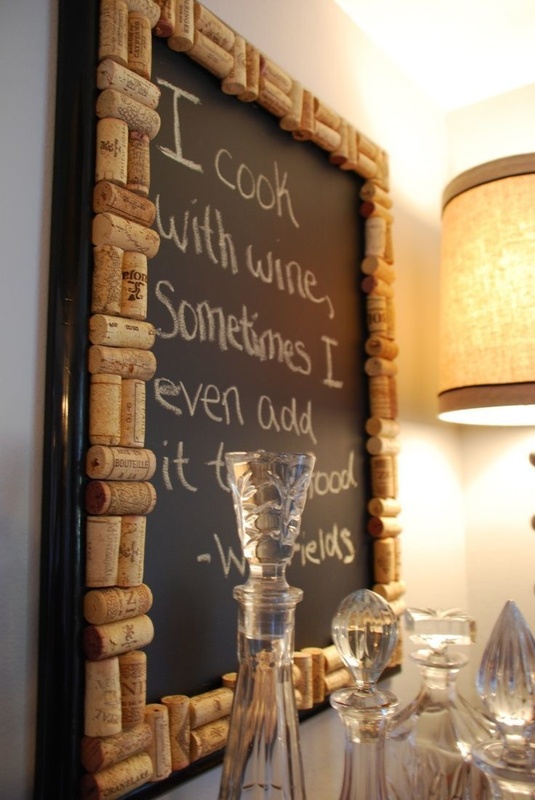 Make your chalkboard special by adding wine cork borders. See how here. 19. Glue together a mat for your hot teapot. A DIY pendant that would make the perfect gift and craft project for teens. You may need to google translate but the pictures can guide you through the process. See it here. 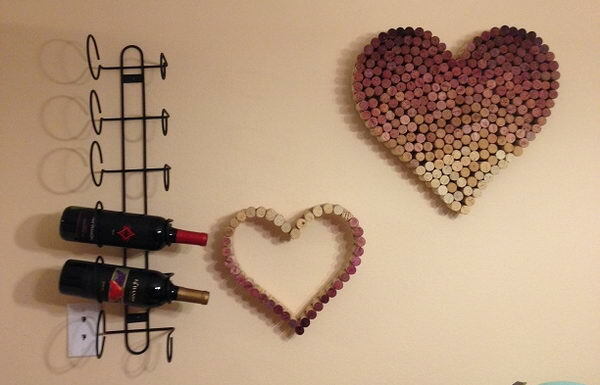 If you’ve seen and tried our DIY state string art, you better try making a state wall art with wine corks too. Check it out here. This would be a great craft project you can make for the kids. Make it in any shape you want! Check it here. 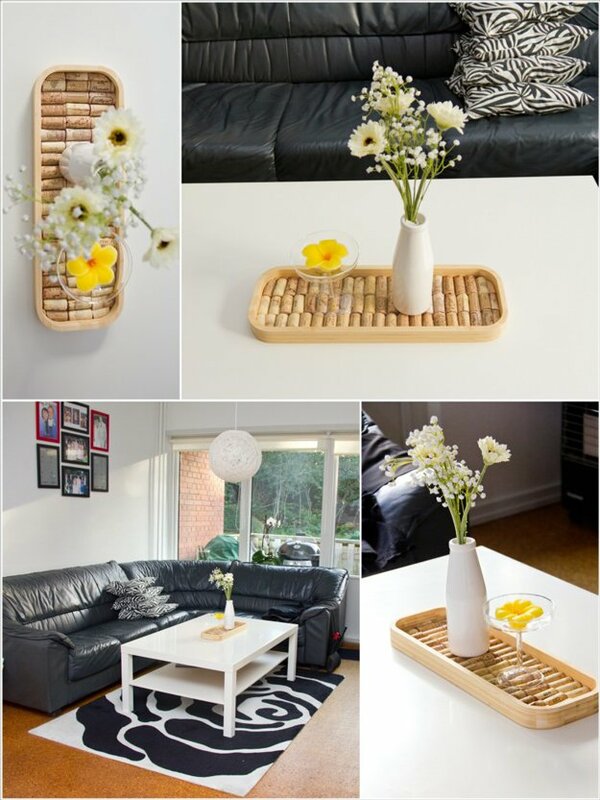 Make this stunning DIY wall decor to show some love. I also love the ombre color! Check the tutorial here. Great for entertaining or just adding a little accent to the room. Get the steps here. It’s as easy as cutting and gluing. This would look great in your dining table. Get the instructions here. 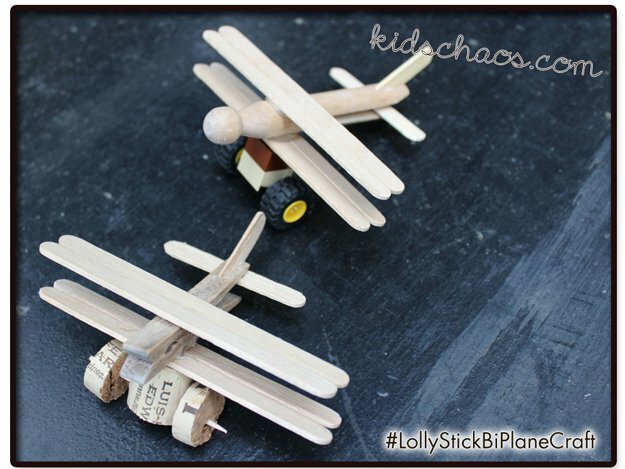 Get your little ones into crafting with this easy DIY project that requires Popsicle sticks, wine corks, toothpicks and a glue gun. They’ll have so much fun making and playing with them. See it here. 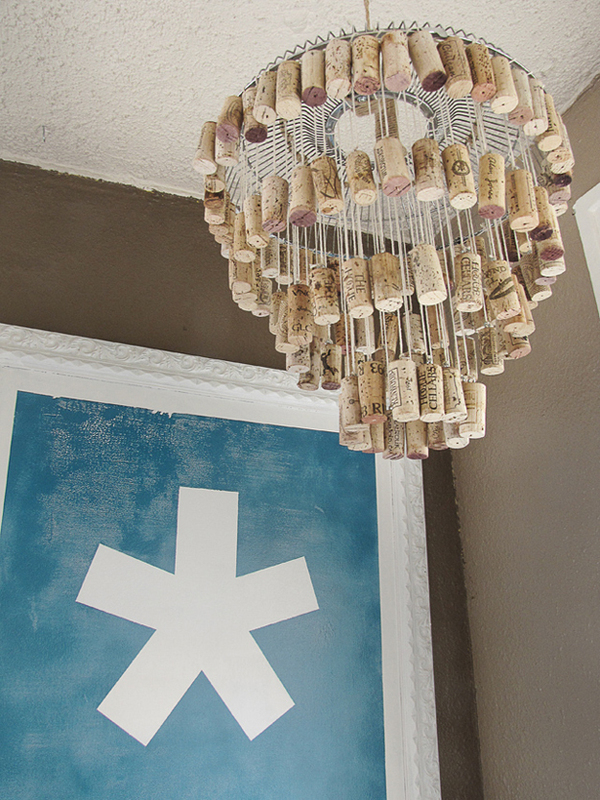 Turn your next lighting project into a cool one with wine corks. Check it out here. 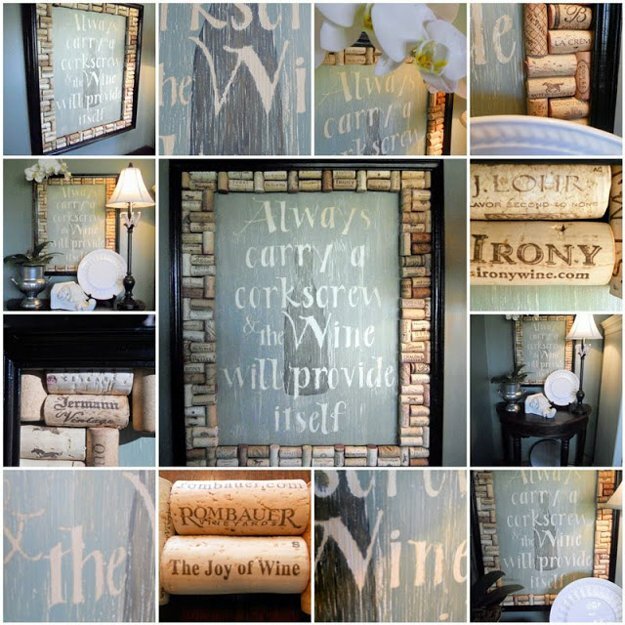 If you need a little wall motivation in your home, turn your favorite quote into artwork with some wine cork borders.Get the tutorial here. 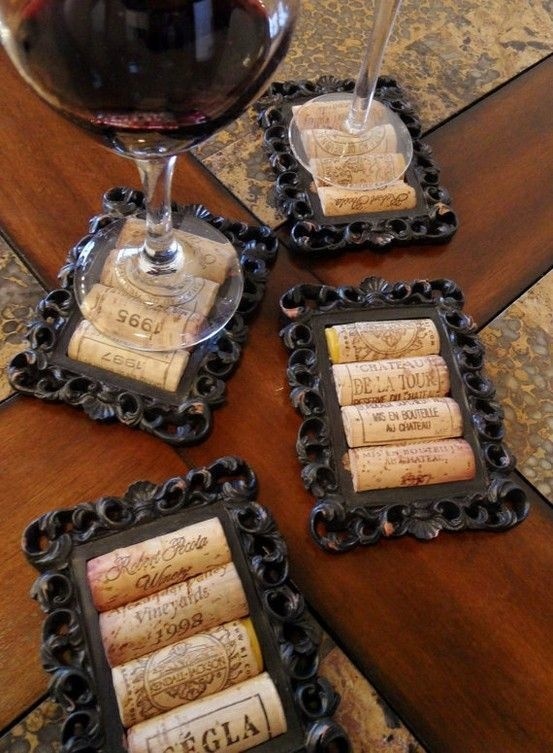 Are you feeling artistic with your wine corks? Make this amazing giraffe cork sculpture in your free time. It will make a great room decor for the kids. Check it out here.